Vasaloppet in English - We’re right on track! 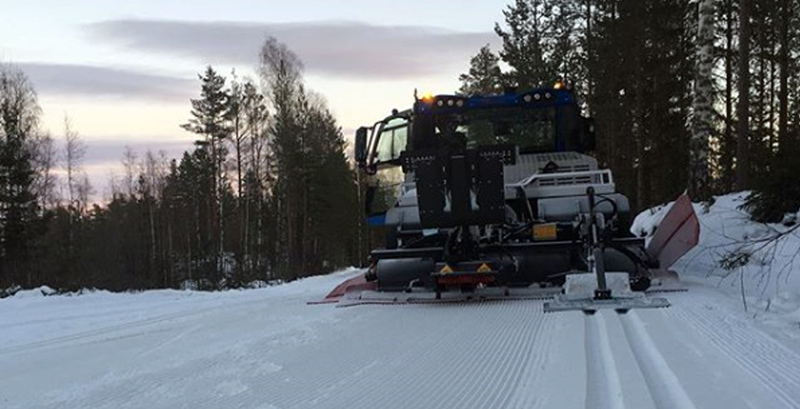 Preparations for Vasaloppet's Winter Week and the 95th Vasaloppet since 1922 are well underway along the whole Vasaloppet track. We hope you had a good holiday break with opportunities to charge your batteries and polish your technique in preparation for your race in forefathers' tracks; take your time and come well-prepared to the start in just over a month. We look forward to seeing you! Winter has come and, right now, white snow lines the whole course but more snow and preparation is needed before we can ski along the whole Vasaloppet Arena. But for those who want to get started today there are tracks prepared in both Sälen and Mora. Training is one thing but there is much more that needs sorting before, during and after your race. For example there is accommodation and the journey to the start. To make things easier and to let you focus completely on the race itself we have developed several practical services to help you get even more enjoyment out of your Vasaloppet experience. Note! It’s cheaper to book your bus ticket to the start online. A packed schedule awaits those who want to experience every event during Vasaloppet’s Winter Week. There are the moving ceremonial festivities, the Barnens Vasalopp children’s races in Mora and Sälen and everything in-between; a whole lot more you won’t want to miss out on. Many of the seeding races for the season 2018/2019 are now updated. You can find these races too in our calendar. Want to attempt Vasaloppstrippeln 2019? Choose 45 or 90 kilometres! Interest in Vasaloppstrippeln has increased massively. Last year 247 people completed the challenge of skiing, biking and running 90 kilometres in forefathers’ tracks. For those who consider 90 kilometres a bit heavy there is now the possibility of taking on Vasaloppstrippeln 45 on skis in Halvvasan, bike in Cykelvasan 45, and by walking, jogging or running Ultravasan 45 on foot. In 2018, 39 people completed the Vasaloppstrippeln 45. Will 2019 be the year you take on Vasaloppstrippeln?